Uh-oh! These furry friends have lost their tails. Can your child help match up the right tail to each animal? 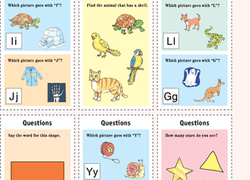 This worksheet covers a broad range of reception skills, including addition, time telling, reading, and science. This worksheet will give your child practise with her observation and reasoning skills, by challenging her to match the beetle with the correct spots. What is wrong with these animals? Their tails are all mixed up! Enjoy a fun activity to help your child learn to sort and categorize items. Does your little one love animals? 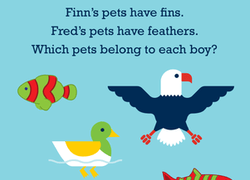 Here is a fun activity that will hone her reasoning skills, as well as give her a review of a few animal words. Swing like a monkey and slither like a snake! This worksheet gets kids thinking about how animals move and then ape a monkey, cheetah, rabbit, and more.